The four legged fiend deterrent!!! 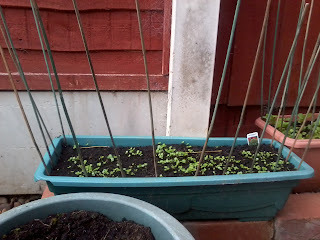 Well ever since my Hubby and I bought our house ( I won't say how long ago...lol) I have always grown veggies. Even though i have only had the allotment for 2 years this never stopped me as I used to plant a few things in the garden and in tubs in the garden. They have always done well and even though I now have an allotment I still like to grow some salad leaves in tubs in the garden so they are handy...and this has never been a problem. I am a cat lover...and I have always had cats too but they have always bee very well behaved and left my planter alone...that is until now...Meet...Alfie. Meet Alfie...I know he looks adorable...but he is VERY naughty!! 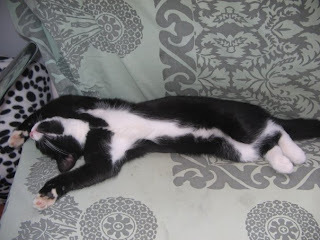 My ex-tremendously naughty cat....I tell you he is worse than all the kids put together...he totally drives me insane sometimes and every time this year I put my seed in the planters ...he scooped it all out again!!! No matter how much I told him he just wouldn't listen and I knew I had to do something to save the crops...so out came the peas sticks...it was quick, cheap, doesn't affect the plants...and keeps my terrible tyrant at bay!! Oh Alfie...lol Don't you know that vegies are good for you? Let mom plant them. I'm sure you can find an equally amusing place to find mischief. Wow, this really works?! I know a lot of humans who would find this handy! Have one cat whose nicknames relates to the mischief it creates. At Christmas unable to leave the tree alone it became Treetrimmer. The other day while weeding i turn around and have both a cat and my tiny dog right with me, so this week it is Weedy.Funny how both know the term, Get out of the garden , but end up investigating again. Oh, don't talk to me about cats! Bane of my gardening life! Just today I discovered a load of broken potato stems where I suspect a furry friend has jumped down into them from the fence. My garden is festooned with nets and childrens windmills (or millwinds as my youngest calls them) to try and keep them off critical areas. Alfie is gorgeous. 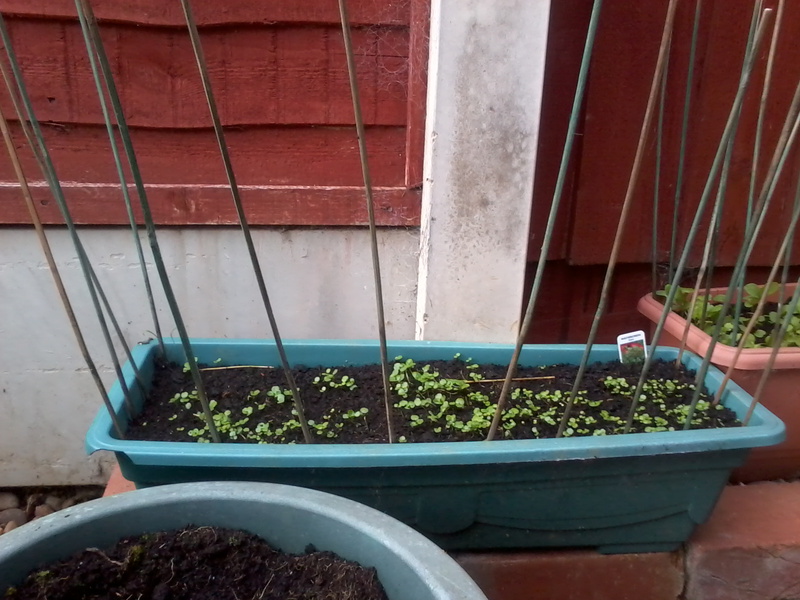 I also grow salad leaves in containers, what a good idea to keep the cats at bay. I didn't know anything could stop a determined cat. I used to use my dog as a cat nanny. She would watch the cats every hour of the day, and then bark to let me know when they were up to no good. I am lucky as far my cats are concerned (all 7 of them! ), but my chickens have been a pain this year with digging up my various crops! By the way, thanks for pointing out the error in my latest post - I have corrected it now. He sure looks to innocent and very cute! Come visit me when you are free, I have many cats!